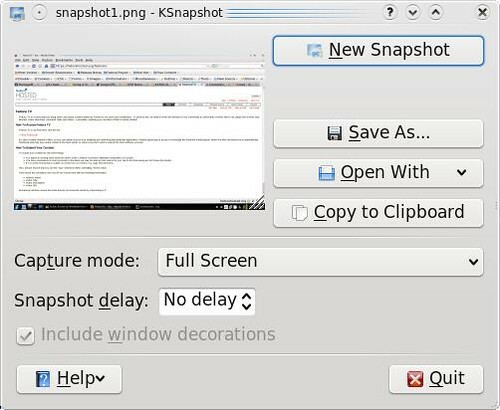 Ksnapshot, the photographer in your computer. This application helps you to take screenshot or snapshot of your system. You can use those screenshots to describe your problem/points in a better way. It can even take snapshot of any particular window or a region. You can even add some delay, after which it will take the snapshot. Watch the video here.